The chemical formula of ammonium carbonate is (NH4)2CO3. It's a salt produced by dissolving carbon dioxide in liquid ammonia, and like table salt (NaCl), it can take the form of a powder or a translucent crystal. Also, like table salt, it is highly soluble in water. Ammonium carbonate goes by a few other names, including baker's ammonia, sal volatile (note: "sal," not salt) and salt of hartshorn, or simply hartshorn. Its first alias indicates one of its main uses throughout history: Bakers have traditionally used it as a leavening agent. Additionally, because it is mildly irritating to the respiratory system, a doctor might use it to revive a person who has fainted. When used this way, ammonium carbonate is known as fainting salts or smelling salts. You also find this chemical in smokeless tobacco, also known as snuff. When heated, ammonium carbonate degrades fairly quickly into carbon dioxide and gaseous ammonia, which is why bakers have traditionally used it for leavening baked goods. The Greeks have used it for centuries to produce koulouria, a sweet bread made with honey and sesame seeds. Ammonium carbonate isn't suitable for making cakes or thick bread, however, because the ammonia gas gets trapped and gives the food an unpleasant odor and taste. This is one reason that cooks seldom use it anymore. Instead, they use baking soda, which is sodium bicarbonate – NaHCO3. Ammonium carbonate is irritating to the respiratory system, so it has a traditional use as a method to revive people who have fainted. This is done by holding a smelling salts bottle under the nostrils of the person who has fainted. The sensation of inhaling the ammonium chloride is so shocking that the person "comes to." 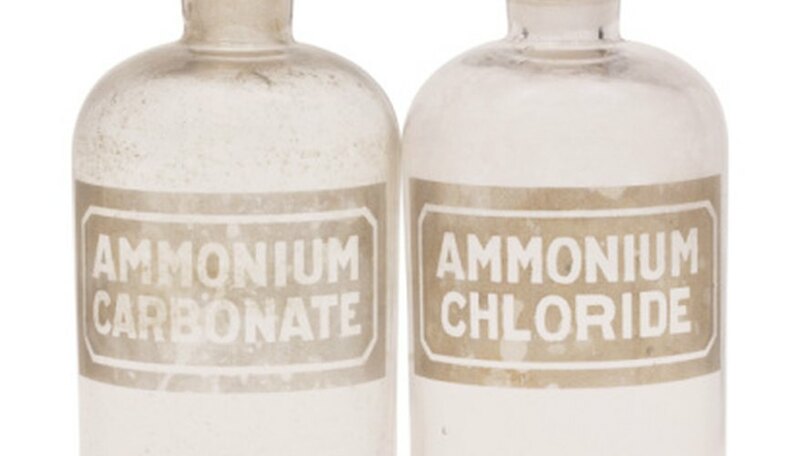 The practice of using ammonium carbonate as smelling salts probably predates the 19th century, but before this practice was established, people used ammonium chloride (NH4Cl), which was also known as sal ammoniac. For its part, ammonium carbonate was called salt of hartshorn because it was produced from the shavings of antlers. The use of ammonium carbonate for fainting salts is not without its drawbacks. The state of New Jersey lists ammonium carbonate as a hazardous substance and warns that it can cause coughing and shortness of breath. When used repeatedly, it may cause cancer. Smokeless tobacco, or snuff, has a long history of use, and its popularity continues today. Some commercial recipes include ammonium carbonate as an ingredient. It is included primarily to raise the pH of the tobacco mixture, thereby increasing the amount of nicotine available for absorption by the body. Considering that ammonium carbonate is so irritating to the respiratory system that it is used to wake people who have fainted, and that it can even cause vomiting, it's an ironic choice for an ingredient in a product designed for inhalation. Deziel, Chris. "Ammonium Carbonate Uses." 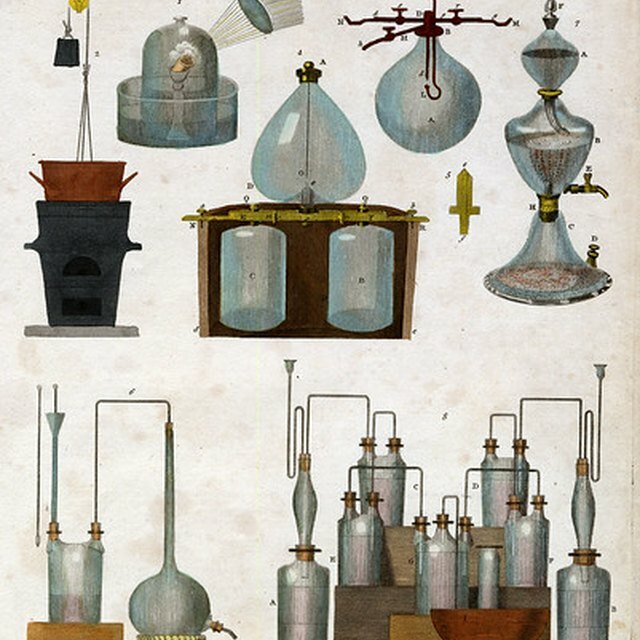 Sciencing, https://sciencing.com/uses-ammonium-carbonate-8233697.html. 29 October 2018.